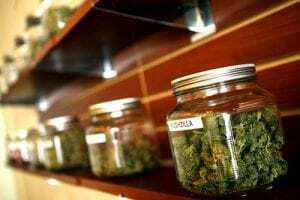 Are Medical Marijuana Dispensaries Bad for Local Business? A few weeks ago Americans for Safe Access released a report titled “Where Will Patients Obtain Their Medicine?”. The advocacy group’s report touches on the impact that medical marijuana dispensaries have on the communities they are located in, specifically looking at the affect that they have on patients, their influence on teen drug use and crime. Legal medical marijuana dispensaries began to emerge in 1996 following the start of California’s medical marijuana program. Many critics believe that these dispensaries will be a problem for the community. They have even gone as far as suggesting that they will increase the crime rates in the communities they are located in and possibly undermine those communities as well. Empirical research has come about that is actually in favor of medical marijuana dispensaries. Steph Sherer, Executive Director of ASA, stated that this research shows “well regulated dispensaries are responsible neighbors and valued members of the community.” They also mentioned that they bring jobs to their communities and have also brought economic development, while providing patients with the medicine that they require. ASA has worked hard to guide communities in creating effective regulations for local dispensaries and began in 2004 with the first edition of “Medical Cannabis Dispensing Collective and Local Regulation.” There have been 23 states, as well as D.C. and Guam, that have passed legislation for medical marijuana programs. Although, many of these states are still working on licensing for dispensaries and are just starting to see dispensaries open up for patients.